She’s back in the water. Fortuitous was carefully launched on Friday. I also put sail numbers on our main. And then on Sunday, the sails went up. Nice! Congratulations on launch to sail in only two days. 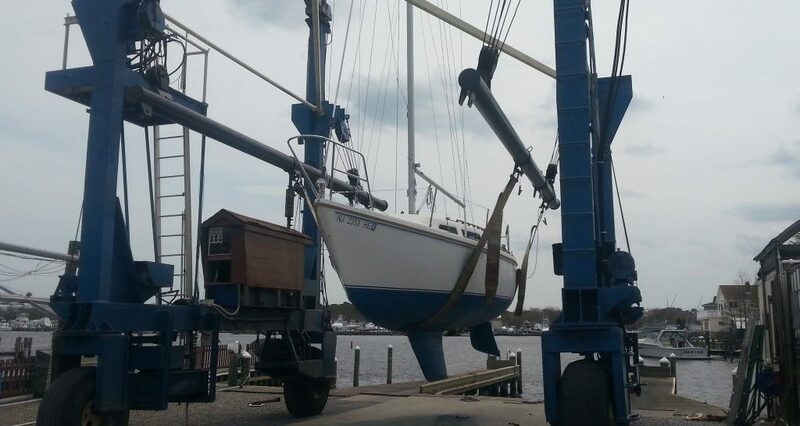 Yeah, there’s still a bunch of stuff we need to do, but getting her rigged to sail was the first priority. Cool, hope you get out there soon.